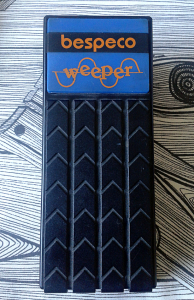 Bespeco Weeper Wah/Volume pedal. Made in italy, sometime in the 90’s. Nothing comes cheaper than this. Oh well. This may not be entirely correct thing to say. At one point i bought a Daphon Wah, just for its enclosure. I thought i could use that for some wah/distortion project, so i had zero hopes for that one. While i thought the Weeper was the worst plastic thing there is.. I was wrong. Daphon took the number one spot. Plus, one can score Weepers for 10 bucks as used, while Daphons cost a noticeable amount more. And i’ve rarely seen Daphon wahs as used, but i think 5-6 bucks should be a correct amount of money for one. Anyway. This Bespeco is italian made, but the brand hasn’t been too interested in being a follower of italian quality product manufacturers. I think the extremely low retail price has been the highest priority in designing process. But that must have gone wrong at some point. Labor intensity of all that wiring does not look cheap to execute. As the gut shot shows, the dual pot is for wah and volume, according to which side the switch is. The sweep of the pot is very nice. Well on par with a Cry Baby. 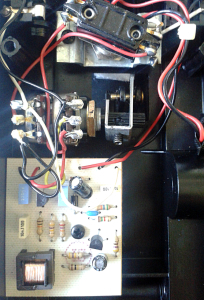 So we have our dual pot, input and output jacks, a dc jack and a circuit equipped with open coil inductor and two transistors. That’s it. Sometimes simple is beautiful. On this particular effect, not so much. The plastic takes the greatness away too easily. No matter what it sounds like, there will always be folk why won’t touch this due to its super cheap housing. Not bad actually. The super cheap feel doesn’t reach its claws to the wah tone. Want to hear something outrageous? This plastic puppy sounds better than low end Cry Baby or Vox wahs. If this was housed in thick aluminum instead of cheap molded plastic, i think this could have been a reasonable hit. 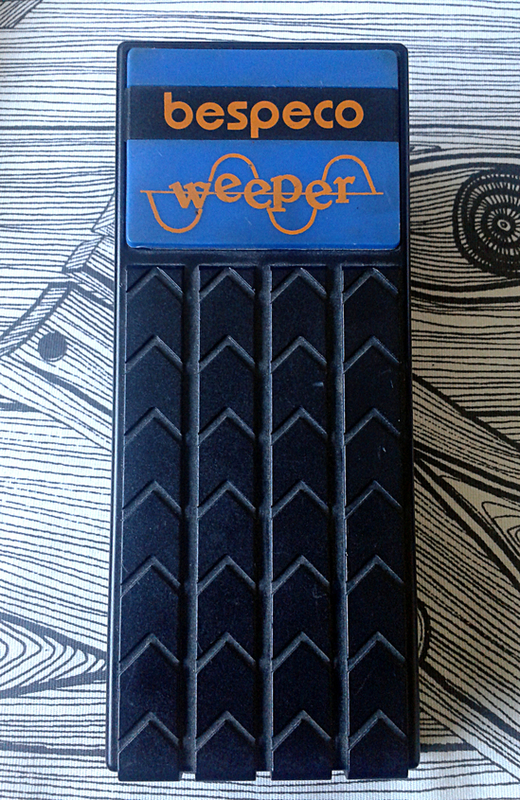 So, if you’re looking for a super cheap wah to use in your home studio, this is the one. Definitely the best wah you can get for 10 units of any of the biggest currencies. This entry was posted on Thursday, November 20th, 2014 at 13:49	and is filed under Other Brands. You can follow any responses to this entry through the RSS 2.0 feed. You can skip to the end and leave a response. Pinging is currently not allowed. I also got one, of the inductorles variety, 1 transistor and green like previous comments one. 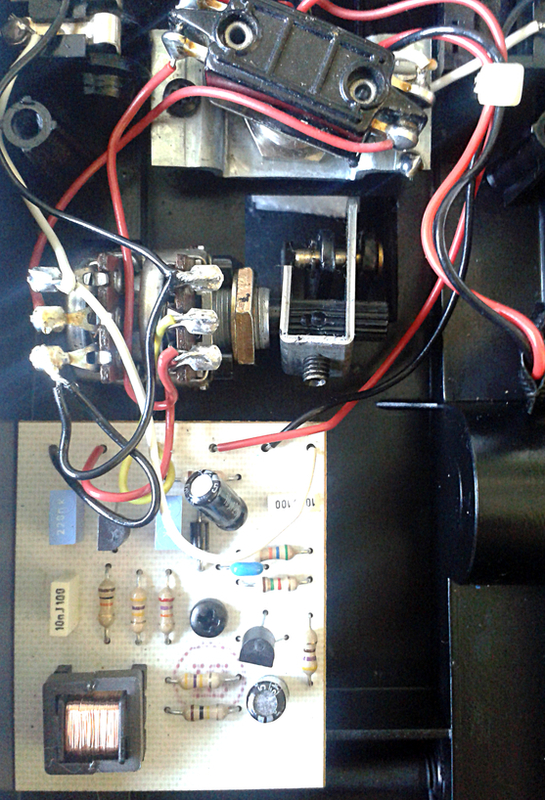 The sound and circuit is akin to that of (some)Colorsound wahs. Very low Q and hence very different than the Cry Baby (Classic) i also got. The plastic housing is strong but the threads breaks easily . The lid of mine stay with one screw out of 4. Entries (RSS) and Comments (RSS). 22 queries in 0.063 seconds.